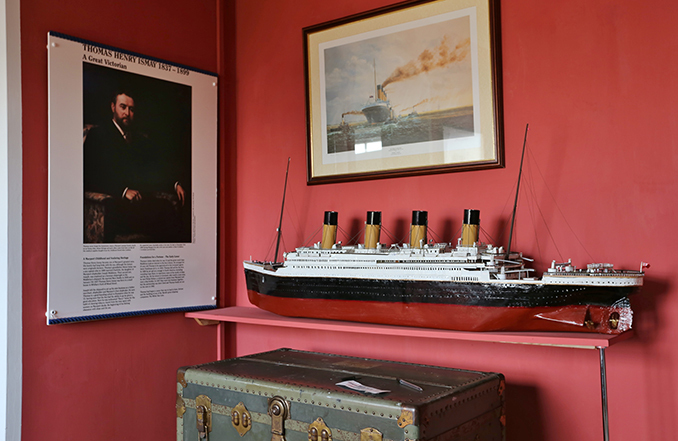 The museum’s eclectic collection consists of items and information relating to the rich maritime, industrial and social history of the town. Many exhibits were donated by local people, including the museum’s founder, local dignitary Miss Annie Robinson. The site on which the museum stands was the first plot to be leased by Humphrey Senhouse in in the ‘new’ town of Maryport in 1759. At first a private house, it is listed in the Directory of Maryport 1856 as ‘Queens Head Public House’, owned by Jane Bryce. It continued as the Queens Head well into the latter half of the 20th century until it became the Maritime Museum in 1975. Miss Robinson was the driving force behind its inception, donating many items from her personal collection and encouraging other townspeople to do the same. These donations and loans form the mainstay of the current collection. After a period of closure, the museum was re-opened in 2011 by a group of volunteers who formed Maryport Maritime Heritage Limited. 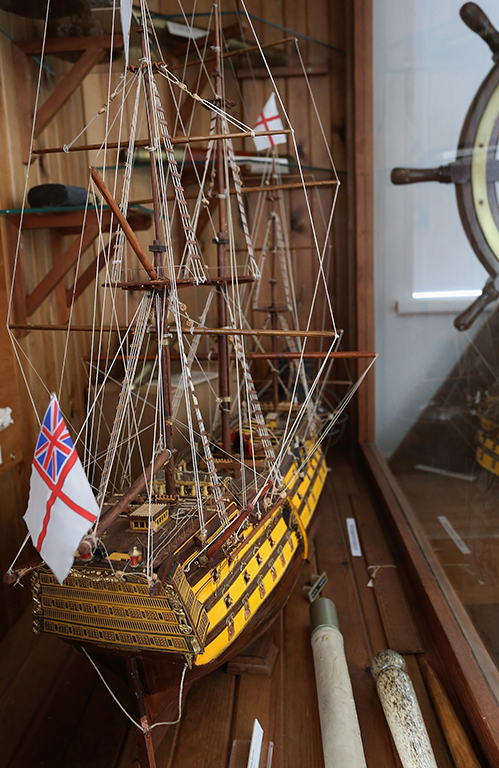 Although Allerdale Borough Council still owns the building and provides some funding, the museum is run entirely on a volunteer basis by local people who are keen to promote Maryport’s fascinating history to tourists, locals and schools. Visitors come from all over the world to view the museum and use its invaluable reference library to trace their local ancestry. By arrangement, one of historians will take conducted group tours around Maryport Harbour, pointing out features and sites of historical interest.